Tyee Road Green Space is in the seaside community of Victoria, one of thirteen communities that form the Capital Regional District of British Columbia. An pleasant double switch-back pathway leads from Tyee Road Green Space to 320 Harbour Road. Harbour Road Green Space is a pathway that has a series of three or four concrete steps between plateau sections as well as benches to stop and enjoy the view of the Upper Harbour waterway of Victoria, BC. Point Hope Shipyard lies along the foreshore of the harbour. This green space leads to Tyee Road Green Space behind the Dockside Green buildings and residences that form the high rise buildings on the ridge. Native plants have been placed in the ground the length of the pathway. 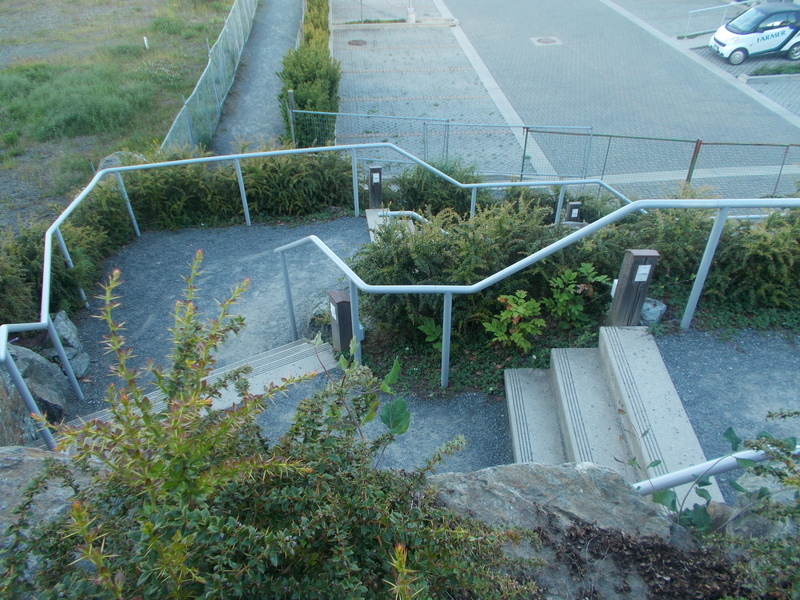 The pathway is partially lit at each of the sets of stairs. On both sides of Harbour Road there is a sidewalk and bike trail. This section of the trail is called Harbour Road Bike Trail, Galloping Goose Trail and Trans Canada Trail. Harbour Road Green Space can be reached from the Trans Canada Highway. Continue along the highway as it becomes Douglas Street. Turn west onto Bay Street and continue across the bridge toward Victoria West. Turn left onto Tyee Road and left again down Harbour Road. The green space beside 230 Harbour Road office buildings along the waterfront. This also is where the walking pathway called the Galloping Goose Trail and Trans Canada Trail and Harbour Road Bike Trail overlap. There is limited roadside parking along Harbour Road. A city bus travels along Bay Street and Esquimalt Road from downtown.